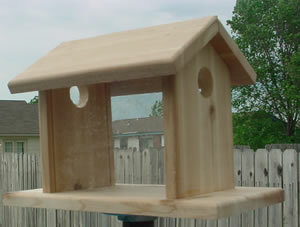 Dimensions 14.5"w x 13"h x 15.5"d.
This is a great feeder for Bluebirds. They love mealworms. Made of western red cedar. Top removes for refilling. This is a pole mounted feeder. Please see our mounting information page before you	order.